The campaign "A Special Book for a Special Bookshelf" is an opportunity for everyone to donate a book – of special importance to themselves – to the National Library of Latvia, also writing a message or personal story relating to the book on its title page. 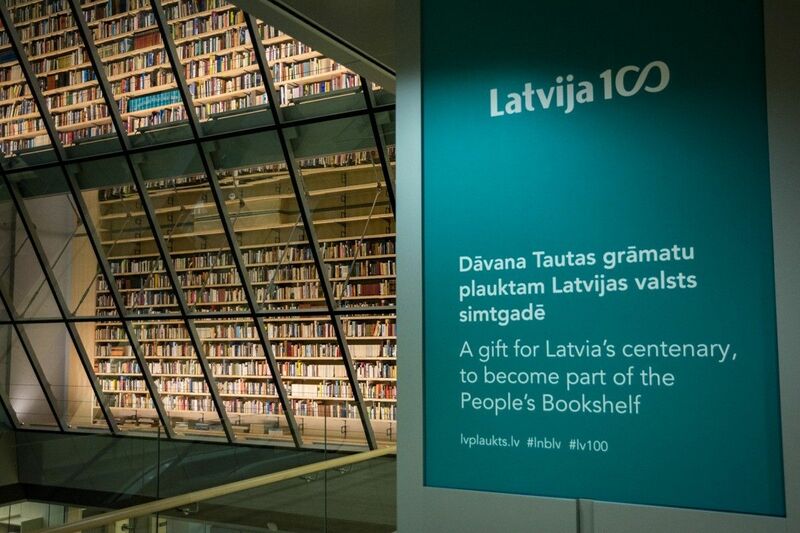 Your donated book, together with books donated by residents or Library guests, will reside in the "People's Bookshelf" at the NLL, supplementing those relayed here in 2014, when Riga's year as a European Capital of Culture was launched with the wonderful and unifying people's action, the "Path of Light – Chain of Book Lovers". Altogether, we plan to place about 15 000 books in the "People's Bookshelf" in time for the NLL's 100th anniversary on 29 August 2019. Currently, the Bookshelf is home to more than 5 000 books. We want the library to have a special place, created by people themselves. Consequently, it is important that each book has its own story about the history of an individual – a story whose like can't be found in an encyclopaedia or novel. About the everyday, fortune, feelings or beliefs. About what would otherwise be lost in the passage of time.